In the event that we are unable to do your event for you we always like to pass on some good advice to our friends about what you should consider when hiring a DJ. Buyer Beware: Not all DJ’s have great reputations, equipment or even the kind of music most people enjoy. Here are some tips to getting the most out of your DJ. Interview your DJ, you must talk on the phone at least or meet the DJ in person. 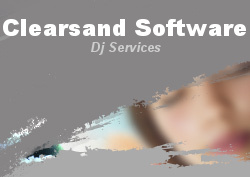 The personally of the DJ is everything and you should get a feel for them before you hire them. Old or Young DJ’s which is better? The answer is neither Young DJ’s think the mama’s and papa’s are hamburgers at A&W and Old DJ’s thing 50 Cent is what you should pay for a cup of coffee. Find one who best understands the era of music you are looking for and explain the type of music you want them to play. Play lists and requests. The more instruction you give a DJ the better. Especially for weddings, give the DJ clear instructions about the kind of music you want to hear and the kind you do not. Ask them to supply you with an electronic list of music or print out of their music selection. Even ask them for their most popular song selections and see if you agree. Highlight the exact type of music you wish to hear from their lists, DJ’s are notorious for promising songs and then forgetting to bring them. If the song is important to you bring it, just in case or make a copy and give it to the DJ. Sound Equipment. Ask them what kind of equipment they expect to use for your gig. If you hear that they have an awesome home stereo system run away. Do not risk your event on anything but professional DJ equipment. American DJ brand equipment is a popular name that is trusted by professionals everywhere. Lighting Equipment: Most DJ packages will use the term lighting effect. One lighting effect might be a mirror ball with a single spotlight (changes color) or a dance light that moves to the beat. You need a minimum of two to cover an average dance floor. Ask if they use stands or can you expect the lights to be mounted on the speakers or worse their DJ table. Lights when mounted low are brutal because the closest person to the light actually blocks the light show for the rest of the dancers. (insist on a light stands). When the DJ promises 3 or more lighting effects you are starting to get a decent light show. Unfortunately DJ always charge more as the number of lighting effects goes up.